The New Kazuma KMZ 150. Kazuma has really out did them self's this time. 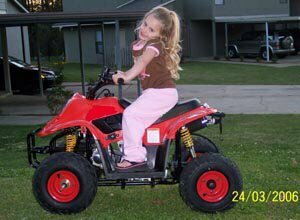 The Kazuma KMZ 150 has really impressed us at Raceway ATV. 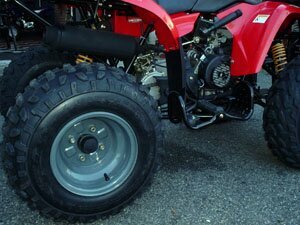 This beefed up 150 series is a sold ATV from top to bottom. 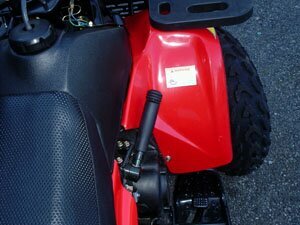 Kazuma has made a number of changes to this 150 ATV to make it stand out and ride away from the rest for sure. 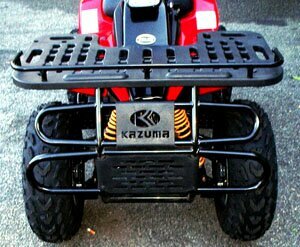 Kazuma has added a heavy duty front and rear suspension to handle the tough terrain. Along to fit it's stronger built suspension Kazuma has add 2' higher tire and rims then it's 150R series. 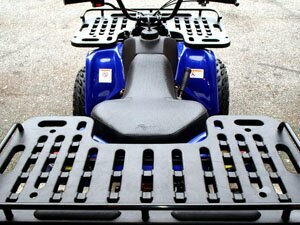 The Kazuma KMZ 150 has also added front and rear racks for the connivance of hauling around just about anything. 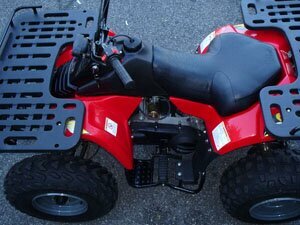 With it's stylish look and durable built the Kazuma KMZ 150 is one of the best ATV's out there. 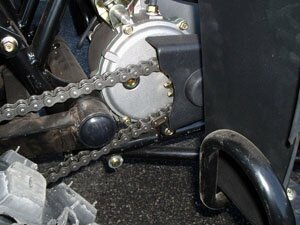 Kazuma has made a great front drum and rear disc braking system for this unit. Overall this is one of the best systems made by Kazuma yet. With it's new big front push bar and it's cut out for a rear tow hitch the Kazuma KMZ 150 is a real working mans dream. 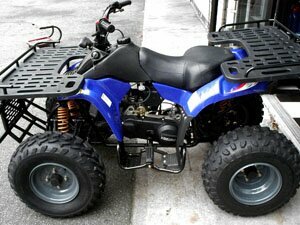 From hunting to working or trail riding Raceway ATV recommends this unit to all. Another great option on this unit is it's tuff and powerfully fully automatic with reverse transmission system. It's reliability and convenience makes the Kazuma KMZ a real pleasure to ride. The Kazuma KMZ also comes standard with an electric starter, front headlight and rear taillight. The Kazuma KMZ 150 comes in 3 beautiful colors. Kazuma Red, kazuma Blue, and the all new Kazuma Hunter Green. Full Front & Rear Rack. 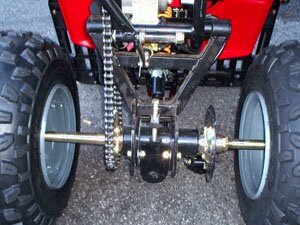 Rear Brake Light & Towing Hitch. 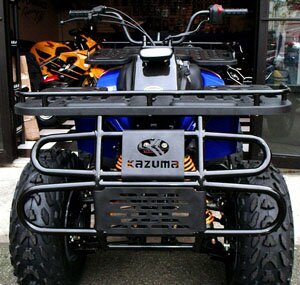 The Kazuma KMZ is a 149.6cc ATV with a top speed of about 47mph. 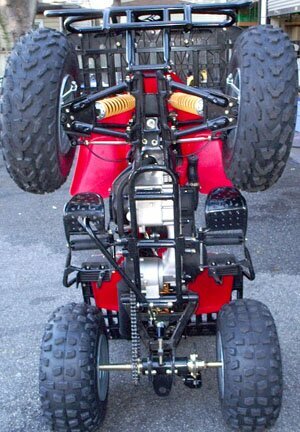 Raceway ATV has measured this ATV from top to bottom to help give all of are customers a better idea of it's size. The measurement from the ground to the top of the lowest part of the seat is 31.9'. 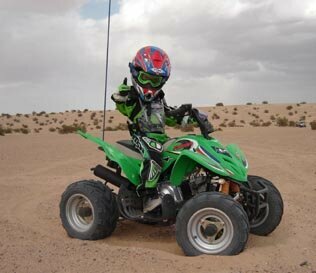 Raceway ATV is an authorized Redcat Kazuma and Yamoto ATV dealer. We at Raceway suggest that you take the time out to do the proper research on any company before you buy anything. It is always better to be safe the sorry. We ask that you do the same research on are company. We are confident that you will be happy with the results. Don't be fooled by other so called dealer that have no experience if this field what's so ever. 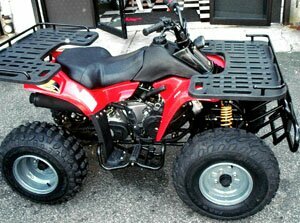 Raceway ATV has over 10 years of experience in the motorcycle dirt bike and ATV industry. 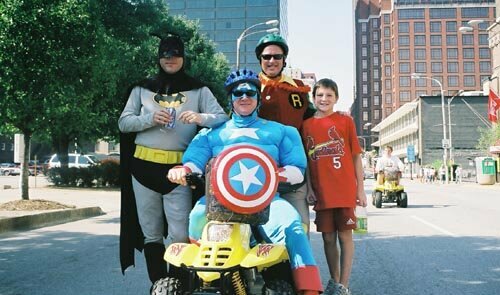 Not only in sales but service and riding.